Few things are more upsetting than a dental emergency. The very nature of an unexpected dental need is stressful, and it can be hard to know where to turn. Dr. Greg Larsen and his staff offer urgent dental care to residents of the Sandy, Utah, area. If you find yourself in need of emergency dental services, call the office to schedule an appointment. You can rest assured that Dr. Larsen's team will meet your needs compassionately and skillfully. Dental urgent care is an area of dentistry that focuses on treating unexpected dental conditions. Similar to a medical urgent care center, Dr. Larsen provides services on a walk-in or short-notice appointment basis. Emergencies can occur at any time of the day or night. Having a trusted dentist like Dr. Larsen available to meet urgent care needs is essential and brings you peace of mind. What should I do if I have a knocked-out tooth? Knocked out teeth are one of the most common dental emergencies, and they can be incredibly stressful. The first thing to do if you experience an avulsed, or knocked-out tooth is to carefully pick up the lost tooth by the crown, avoiding making contact with the root portion. If there’s dirt or debris on the tooth, rinse it under gently running water. Place the tooth in a moist environment. A small amount of your saliva is best, but milk is also a good option. It’s possible to store the tooth in your mouth between your cheek and gum, but this is inadvisable for small children who might swallow the tooth. Schedule an urgent care appointment as soon as possible. In many cases, Dr. Larsen can save an avulsed tooth if you follow these instructions. Some dental emergencies are avoidable, while others aren't in your control. For example, being involved in a car accident is something you may not have control over. If an accident occurs and you sustain dental damage, be sure to secure your safety first and seek treatment for any emergency medical needs. Many dental emergencies are the result of advanced decay. If you allow your dental needs to go unmet for a significant length of time, you increase your risk of a broken or cracked tooth, or an abscess. 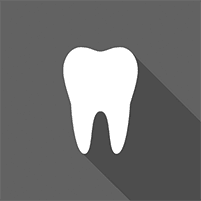 Be sure to brush and floss regularly, and schedule routine dental exams, to keep your teeth in good shape. Sports injuries are another common cause of dental emergencies. Take care when playing contact sports, and consider wearing a custom-fitted mouth guard to provide an additional layer of protection. If you have a dental emergency, call Dr. Larsen’s office to make an urgent care appointment.